If you have any enquiries we'd love to hear from you. Just fill in the form and one of our team will be happy to help you. With over 15 years’ experience in the private sector, Stuart has worked on a variety of projects ranging from car show rooms at Canary Wharf, conversion of a Grade II listed buildings, creation of contemporary office spaces and a number of care homes. In more recent years Stuart has an impressive portfolio of successfully completed residential projects with extensive experience including site appraisals, large mixed use schemes, masterplanning, residential layouts, bespoke dwelling and apartment design, coordinating outline and detailed planning applications, production drawings, building regulations and contract administration. Stuart has extensive experience working for a variety of clients ranging from volume house builders, landowners, agents and smaller individual clients. Out of the office Stuart enjoys watching football, cricket and Formula 1. Ben has over 15 years’ experience working at Architect’s practices in Manchester, Glasgow, Selby and Wakefield. In this time, Ben has worked on a variety of projects ranging from industrial warehouses and offices, conversions of a Grade II listed buildings, Bespoke housing design, residential layouts and large scale masterplanning. Ben now specialises in the residential sector and works for a variety of landowners, volume housebuilders, agents and smaller developers. His areas of expertise include site appraisals, large mixed use schemes, masterplanning, residential layouts, bespoke dwelling and apartment design. Out of the office Ben enjoys spending time with his family and following his beloved Spurs. With over 18 years’ experience within both an architectural private practice and a national house builder, Simon has gained invaluable insight to both client and builders specific requirements. Passionate about design from being involved in early master planning / concept schemes through to site completion, Simon believes that this is a necessity to good design. Simon is currently involved with several urban extensions and large scale residential developments and has recently gained Building for Life 12 outstanding award for a residential development in Kent. Outside work Simon enjoys watching Rugby League, Football, holidaying with his family as well as cycling and cooking. Thom has spent 14 years in the industry and has had experience working for 2 different national house builders where he coordinated a range of project sizes through the planning process. Thom also has good technical knowledge having good experience with technical aspects, SAP calculations, EPC's and Code for Sustainable Homes. Thom started working at a small practice architectural practice in South Yorkshire whilst studying for his HNC Building studies at Barnsley college. Since then he has moved onto Bryant homes (Taylor Woodrow) and later to the Sheffield office of George Wimpey homes through the merger with Taylor Woodrow, where he expanded his knowledge of the house building sector. In 2013 Thom joined Barratt developments, working under a design manager to help run a in house design department for Barratt & David Wilson homes. Steve has over 20 years experience of working in Architectural practices and for himself, starting while he was studying for his HNC Building Studies. He has been involved in projects ranging from housing estates to industrial estates to commercial and public buildings. He has experience of seeing projects through from initial conception to completion of the works on site, and is involved in all aspects of the design from Planning Applications to Building Regulations Applications and on site supervision. Steve brings technical detailing and Building Regulations knowledge to the STEN Architecture team, producing full working drawing packages for large scale residential development sites. Outside of the office Steve enjoys watching football and darts, and visiting National Trust properties with his family. Nicola has over 7 years’ experience working within both an architectural practice and two national house builders, within this time Nicola has gained a valuable insight into both client and house builders specific requirements. Nicola is a motivated and passionate designer and has a wide range of experience in producing site appraisals, concept schemes, masterplans, residential sketch layouts, CAD residential layouts and planning drawings. Nicola achieved a master’s degree in urban design in 2012 whilst working for a large housing developer and has since worked on a variety of different projects ranging from large scale housing developments, small housing developments, mixed use schemes and a variety of strategic masterplanning work. Out of the office Nicola enjoys holidays with her family, going on long walks with Pippa the dog and is a member of a local running club. Tom graduated from the University of Huddersfield with a degree in Architecture in 2017. During his 3 years he completed various projects in many locations including, for his final project, a scheme in Ho Chi Minh City, Vietnam after a four-week study trip. As the newest member of the team Tom focuses on design, utilising skills gained during his degree and in practice to produce CAD drawings to support Thom and Steve during all stages of each project. As a Leeds United season ticket holder, Tom spends his time out of office attending games both home and away. In 2016 Daniel graduated from Nottingham Trent University after completing his Architecture degree. During this time, Daniel developed advanced skills in graphic design and 3D visualisation while also gaining invaluable knowledge within the architectural sector. Along with Ian, he brings illustrative and graphic design support to the design team at STEN Architecture. Daniel specialises in using the latest styles, techniques, and software to create images for planning applications and a variety of sales media. Away from the office Daniel enjoys watching football, holidaying with friends and family and socialising with friends. Ian studied Museum and Exhibition Design at Lincoln University (2002, BA. Hons) and Graphic Communications at Leeds Metropolitan University (2006, BA Hons.). 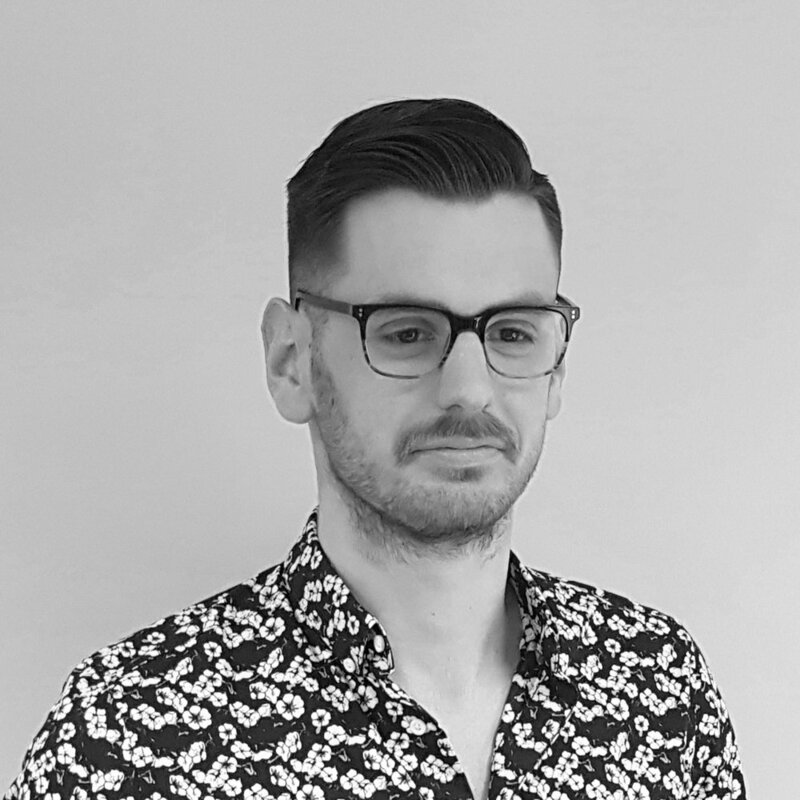 He has worked in the construction industry since 2003, starting as a Junior CAD Technician in the East Midlands before specialising and developing a career in Illustration. Ian brings illustrative and graphic design support to the design team at STEN Architecture working on a large number of projects to produce high quality masterplans, full colour residential layouts and streetscenes. Ian’s role also includes composing supporting documents including Design and Access Statements, Promotional Material and Community Consultation Boards. In his spare time, Ian enjoys running and cycling.